Your kitchen is the focal point of your home and the materials and appliances you choose will give your house style and value. One of the most crucial parts of the kitchen is the countertop and the material you use on the countertop determines the value of your house. Granite countertops are among the most popular high-end options for kitchen countertops. If you are looking to perk up the value of your house then granite is the ultimate kitchen countertop choice. Despite the many options available for kitchen countertops granite has remained the premier countertop material. 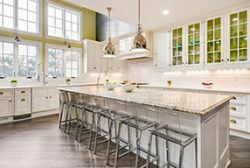 The kitchen is one of the most commonly used room and it is imperative that the kitchen countertop you choose is durable, easy to clean and maintain. Before you choose a new countertop, we wanted you to know the top reasons why you should choose granite. 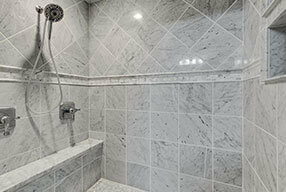 Granite is made from hard rocks and it is second to diamond in terms of hardness. When well installed by the granite installers then you can be sure that your kitchen will stay in style for the longest time. 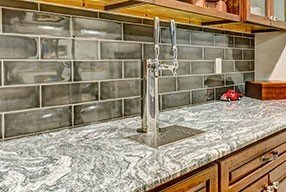 Granite is extremely strong and therefore durable and the only time you will call your countertop replacement company is when remodeling your kitchen. It resists chipping and cracking and thus it will last you a lifetime. When properly sealed after the installation then it is easier to clean and maintain the countertop. Proper sealing will ensure there are no bacteria on your kitchen countertop. To clean the countertop, you need to warm water and a piece of cloth to clean any spills. Sealing makes granite countertops nonporous and that makes it easy to clean. Granite countertops are one of the best additions to your home as it adds style and exquisite beauty to your home. Granite comes in a variety of colors and that gives you the choice to choose one that will give your house the regal effect and compliment with the cabinets and floor. 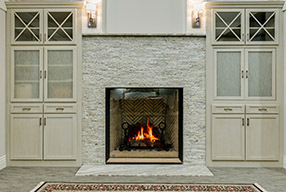 Choosing granite will give you the advantage of having a unique countertop that you will not find elsewhere. Granite is able to withstand heat from pans and other hot objects from your kitchen making it a viable material for your countertop. You can set hot pans and pots on the granite without causing any damage. As you will notice, when the granite installer is installing, it is relatively easy and fast to install granite tops. If you remodel your home with granite countertop, you can be sure that the value of your home will go up. With expert installations, your home is going to get a sale more quickly when it has a granite countertop. When you remodel your kitchen countertop with granite, you can be sure that it will last a lifetime and thus its longtime investment. Granites will last more than any other countertop. 9:00AM – 4:30PM, EVENING APPOINTMENTS AVAILABLE.